resh from your many victories in Outland, you have heeded the call. Brave adventurers are needed to battle the massing Scourge in Northrend.The towering, ominous Utgarde Keep is a sight impossible to miss for players arriving in Howling Fjord, and likely the first dungeon experienced in Northrend. 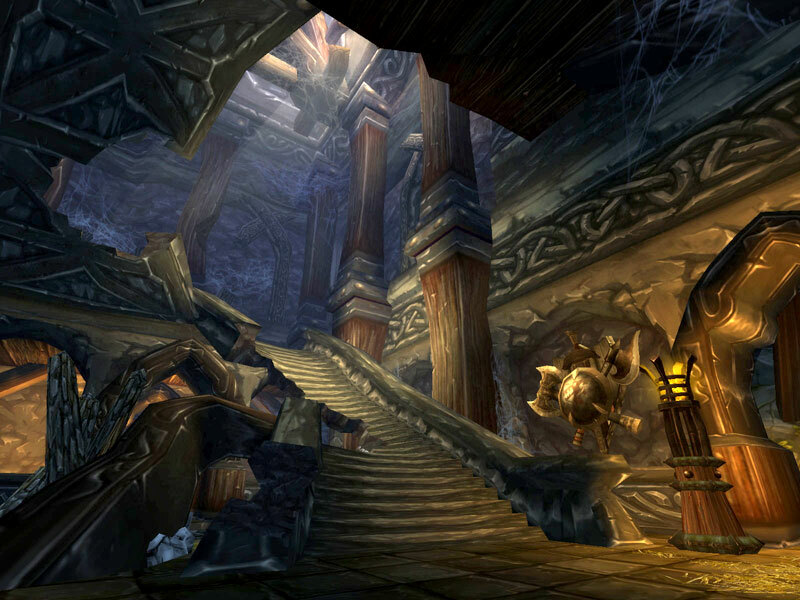 The design process behind Utgarde Keep, and the other dungeons of Wrath of the Lich King, has evolved from years of experience developing for World of Warcraft. How exactly do you dream up a dungeon? When Blizzard started working on Utgarde Keep, they knew from the start that we wanted some sort of “impenetrable fortress in the side of a mountain.” In considering the continent of Northrend’s history and geography they pretty quickly found a source of inspiration for Utgarde Keep, and to an extent the entire region of Howling Fjord, in a combination of elements from Norse mythology. 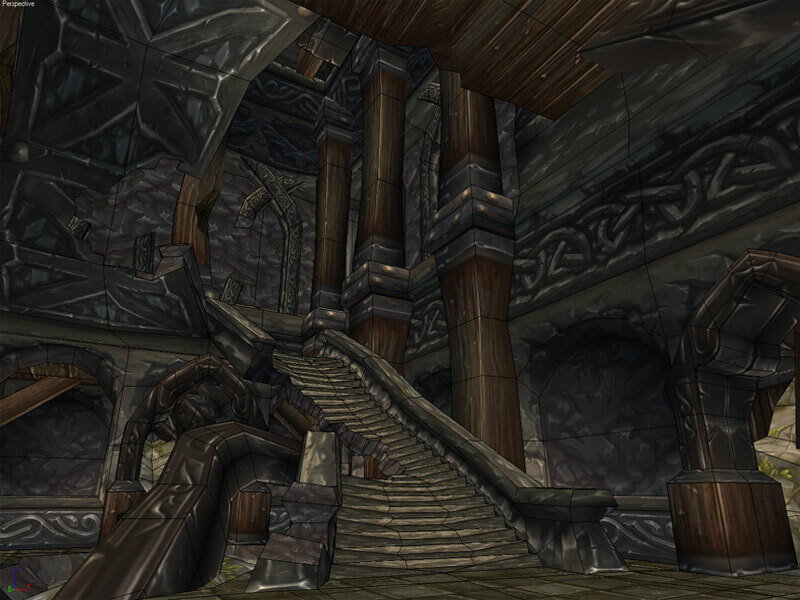 One of their goals was to make the starting areas feel more “human.” The presence of the Vrykul, the imposing half-giant warrior race native to the region, and the architecture connected to them helped achieve exactly that. Utgarde’s design ties closely into the creation of Howling Fjord as a whole. Less high-concept than the otherworldly and wildly diverse regions of Outland, Blizzard want the zones in Northrend to follow a geographic theme that’s more consistent with the familiar geography of Azeroth. 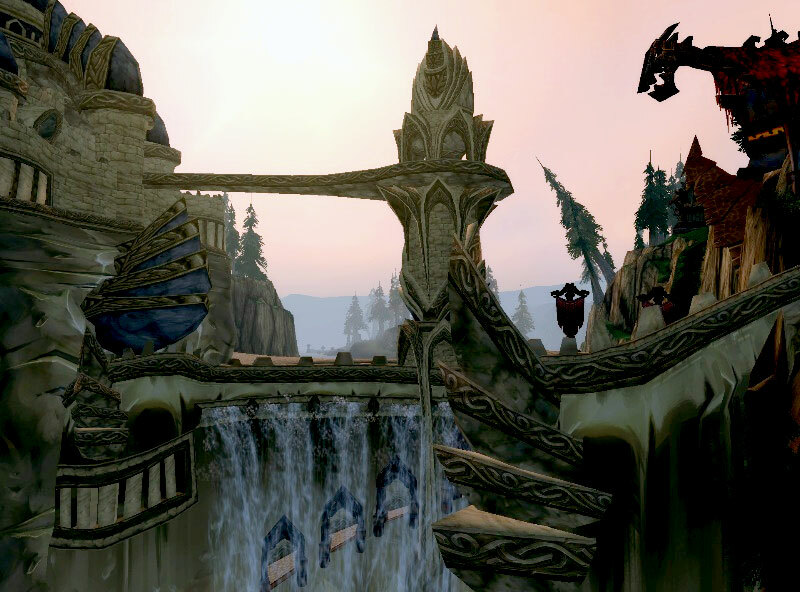 Many of Northrend’s regions originally appeared in Warcraft III -- such as Howling Fjord, one of the two starting areas and also where Utgarde Keep is prominently located. 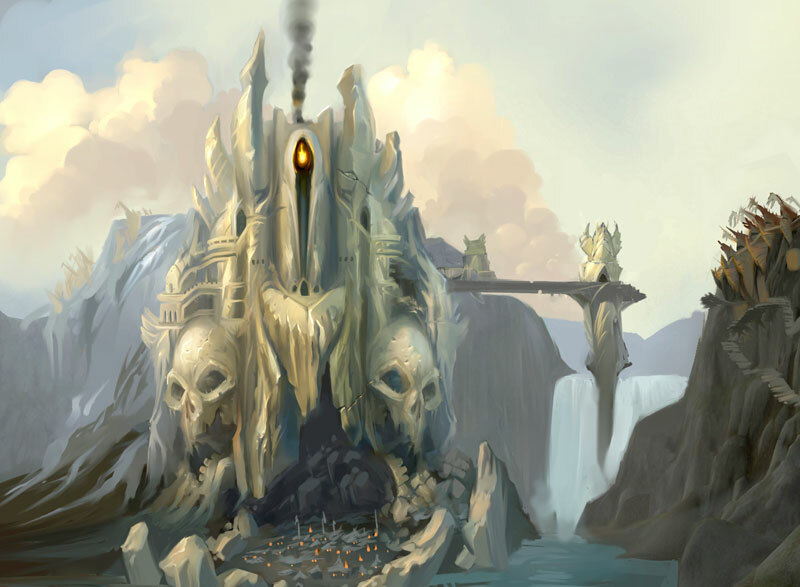 Howling Fjord’s Azerothian feel stands in sharp contrast to the stark, alien beauty of Hellfire Peninsula, and this should help players establish an immediate connection to the expansion’s new environments. 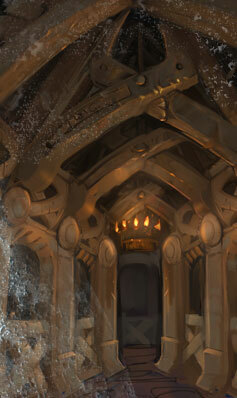 However, the residents of Utgarde Keep are more than happy to make them feel less at home. The Vrykul (think Vikings, only bigger, fiercer, and extremely inhospitable) have made Utgarde Keep their staging ground for attacks against nearby Horde & Alliance settlements, including Valgarde, and they aren’t exactly thrilled to see new heroes coming in to reinforce the town. When you arrive in Daggercap Bay, you will experience regular Vrykul attacks firsthand as the raging giants assault Valgarde and rain fire down on the buildings from the backs of their proto-dragon mounts. The intent here is to make you feel deeply involved in the expansion’s overall plot from the moment you step off the boat, and developers felt there’s really no better way to achieve this than to have a Vrykul giant chase you around with an axe that’s easily twice your own size. 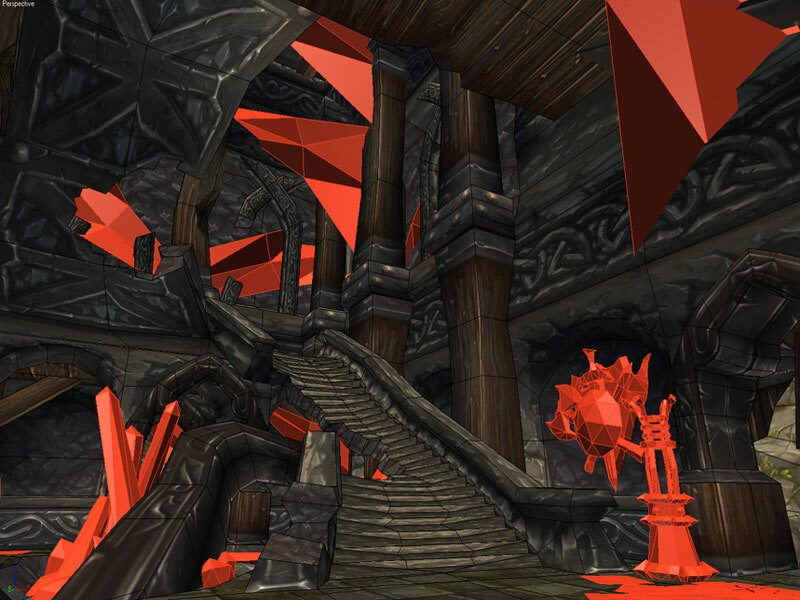 You’ll catch a glimpse of the Vrykul’s sinister plans through the quests in Valgarde’s vicinity, which will eventually lead you into Utgarde Keep itself to strike a blow at the heart of the Vrykul war effort (and perhaps gain some insights into the motivations behind the attacks themselves). When you finally do enter Utgarde Keep, Blizzard want you to feel as if that assault is the logical conclusion to the events that led you there. You and your fellow adventurers will venture in with steely resolve, there to make things right -- armed with sword, spell, and most importantly, a sense of purpose.